MoJo Promotions stock a first class collection of personalised badges products, all created to be custom printed with your requirements. 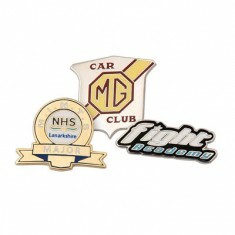 Badges Products provide a excellent way to make clear your brand. The branding options found with personalised badges products is guaranteed to ensure your advertising goals are met. 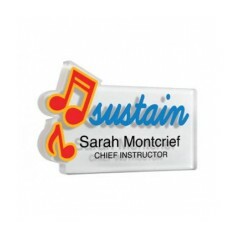 Our selection includes - Acrylic Personalised Name Badges and Hard Enamel Badges to mention but a few. All of our merchandise can be customised to suit your ideas, please contact us for more information. 3mm thick plastic. Surface printed for shadow effect. White or silver background available.